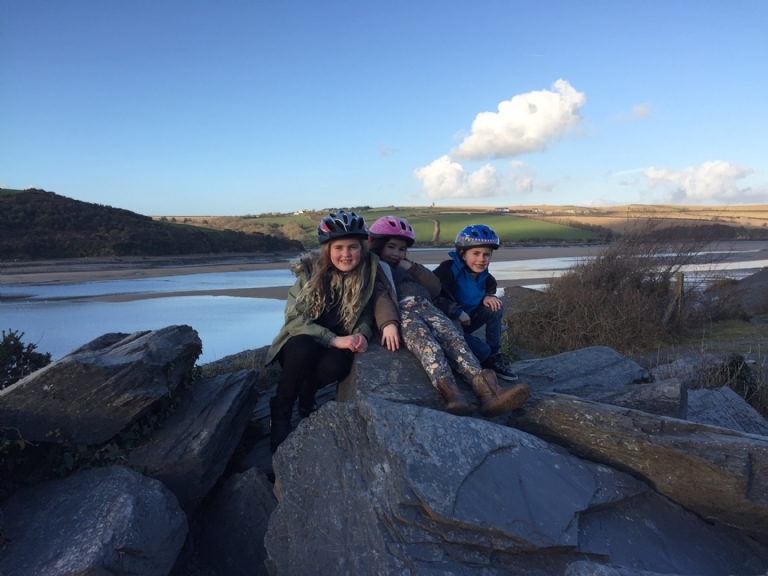 Seriously, a beautiful month on the Camel Trail. Despite threats of massive storms we came through relatively unscathed with just a couple of days of high winds and a bit of rain here and there. Mostly there has been a calm on the river, with many local still on holiday for the early part of the month and many shops closed we literally had the place to ourselves. Half term was a huge success with families being able to get out and enjoy the good weather. Those schools with a later half term weren't quite so lucky but many still ventured out. The Depot has had a facelift, let us know what you think of the new blue! You can't miss us now! We also announced our new fleet of dog trailer, updated with specially designed covers. We are learning as we go along with these designs and these are a huge improvement on last year and are already going down well. Obviously they are very popular so if you are visiting us and you have a puppy or older dog who isn't able to make the 10 miles unaided please do book your trailer in advance. As a family we had huge success with the youngest grandchild finally mastering her push bike so we are now are complete family of cyclists! A very proud moment for Grampie!